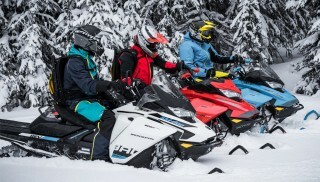 The 2019 Ski-Doo Renegade Enduro 900 ACE Turbo takes aim at high mileage riders who want a little more off-trail ability than the Grand Touring can provide. 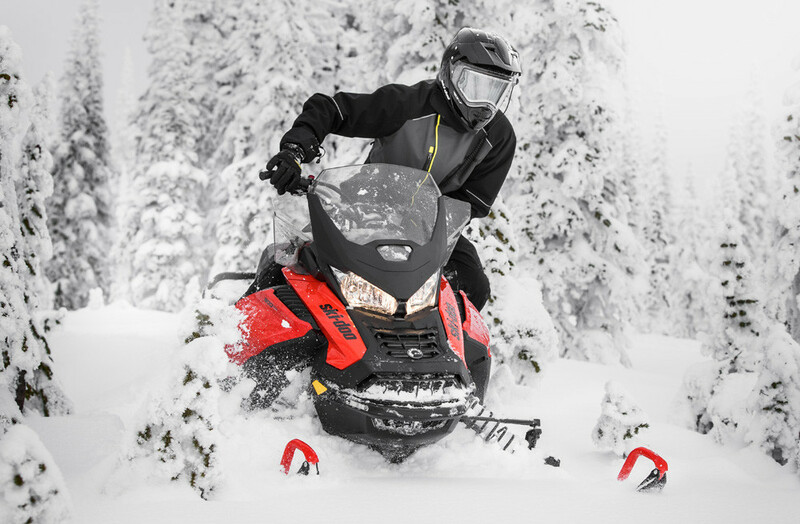 For snowmobilers who are ready to eat up high mileage on groomed trails, but want the ability to occasionally venture off into the powder, the 2019 Ski-Doo Renegade Enduro 900 ACE Turbo is an interesting choice. New for 2019 is the 150-horsepower Rotax 900 ACE Turbo. This engine replaces the 1200 4-TEC we tested in our 2016 Renegade Enduro review. And while the 1200 4-TEC was a solid performer, the new 900 ACE Turbo boasts an extra 20 horses. It also features drive-by-wire intelligent Throttle Control and three driving modes: Sport, Standard and ECO. Also new for 2019 is the fourth generation of the REV platform. 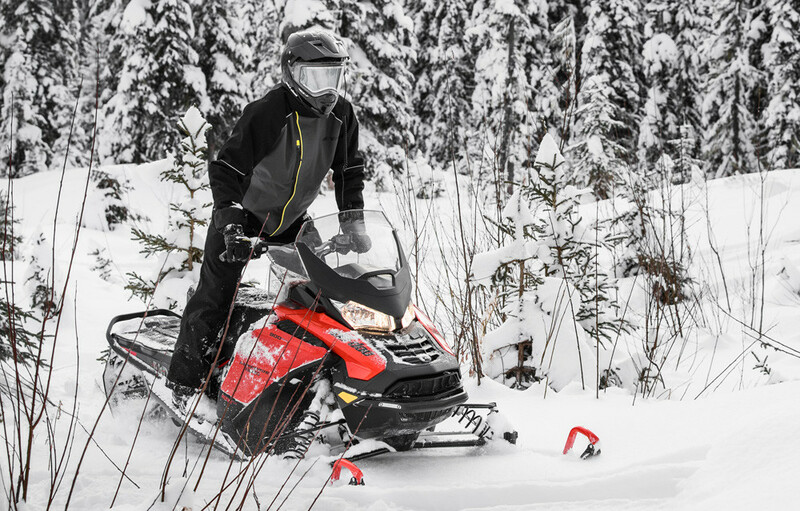 Ski-Doo says this narrow, compact platform was designed for aggressive trail riders who like to move around and use body English to help control the sled. Out back an Air Ride rear shock is controlled by a handlebar-mounted rocker switch that allows the pilot to adjust the air spring to one of five preload settings. All of this can be done on the fly as trail conditions change. The rMotion rear suspension features a rising rate motion to help absorb trail chop. And you don’t need an advanced degree in suspension to get the most out of it, as KYB high pressure gas (HPG) shocks, springs and coupling blocks are designed to be easily adjusted. Up front you’ll find a new RAS 3 front suspension system that controls rebuildable and revalvable KYB HPG Plus shocks with lightweight aluminum bodies. 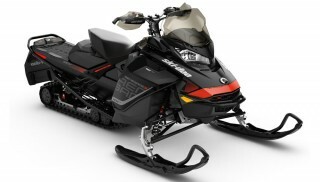 Connecting the Renegade Enduro 900 ACE Turbo to the ground is an Ice Ripper XT track and Pilot TS adjustable skis. Based on the Ripsaw, the Ice Ripper XT (15 x 137 x 1.25”) features carbide studs embedded in the track lugs for extra grip when trails get icy. 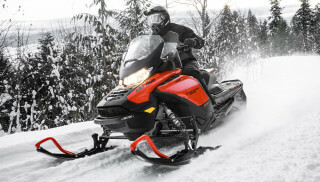 The Pilot TS is the snowmobile industry’s first adjustable ski and allows owners to fine tune the amount of bite for specific riding conditions. It’s as easy as turning a knob on the ski leg to raise or lower the ski runner. 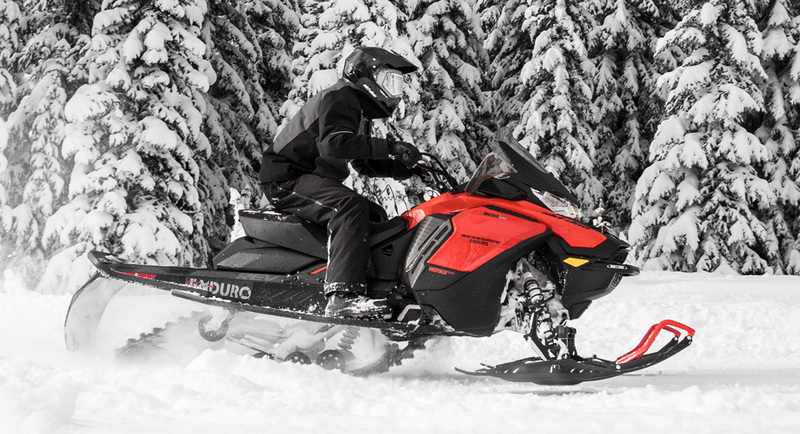 The 2019 Ski-Doo Renegade Enduro 900 ACE Turbo adds a bit of Grand Touring comfort with a heated seat. Two different heat settings are available to choose from to help you keep warm when the temperatures start to drop. You’ll find 1.85 gal. of storage space behind the seat. Other features on the Renegade Enduro 900 ACE Turbo include Brembo disc brake with steel-braided line, push-button reverse, electric start, heated visor outlets, one-piece hooked aluminum handlebar, 1-gal. glovebox, 8-inch digital display, and heavy duty front bumper. You can dress the Renegade Enduro in Lava Red or Black.